Palettable.io – This is my favorite. I like to hand it to clients and let them play with it. It’s that easy. We used it to help develop our brand colors. And to update our colors to something easier to remember. Palettlab – This is more of an inspiration tool, but you can get a new color scheme in every Chrome Tab. 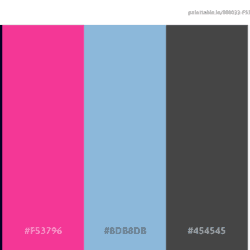 ColourLovers – You can color patterns and generate palettes here. And you can name a color if you are the first to submit it. Pretty Hot. Great advice on how to add shades and tones to your brand’s color palette. With his series of crayon works, Ohio artist Christian Faur is not only creating photorealistic portraits out of art supplies traditionally relegated to children, but he’s also making the crayons from scratch. Jackie Shafer of WOSU in Columbus has this look at the unique and “ridiculously labor-intensive” medium in which Faur does much of his work.